Texas State Approved. Based in Texas! Get Your Driving Permit on Same Day! Quick. 6 Hr Course. Unlimited Retakes; Instant Exam Results; 24x7 Support. ; Self-Paced. ;Clean Designed Website. Affordable. Lowest Price in Texas! Save $9.95 - Free Email Certificate Delivery! 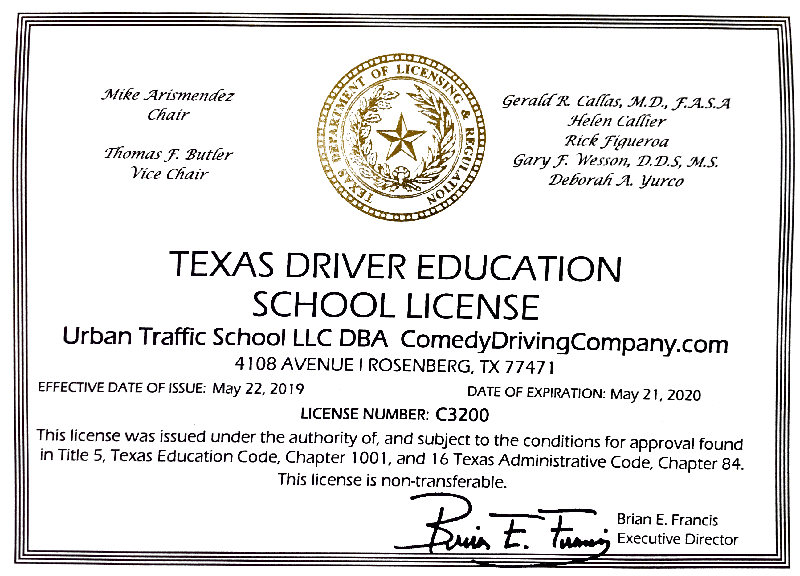 Unlike other driver education schools, We send your completion certificate via email same day that you pass. Free of charge! 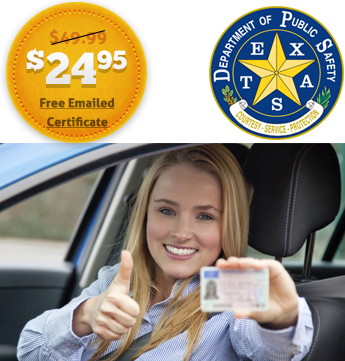 You may print your completion certificate at home and bring it to the DPS office to get your driving permit. Be sure to follow final steps upon your course completion. Why choose a boring school? Our course is written with bit of humor. Same Day eCertificate Delivery. Why pay others for email delivery? If you change your mind, we offer a 100% refund for your peace of mind. Our Online Drivers Education Course is completely self paced. Log in and out of the course as many times as you'd like! Your progress is automatically saved. Visual aids help our users understand our materials better. We have incorporated chats and images to assist you in the learning process. Backed by our awesome instructors and 24/7 Support Staff. We help you get your completion certificate on time. ALWAYS! We made our course as simple as possible. With eight chapters to study and our practice quizzes, helps you get ready for the final exam. The final exam covers what you study in our course. With a 100% success rate, rest assured you are making the right choice choosing us. An online course at Comedy Driving Company is easy to follow, fun to read and without any timers. Our final exam is 25 questions simple and contains common knowledge driving techniques. Moreover, you have two tries to pass the final exam. We have over 99% success rate with our final exams.